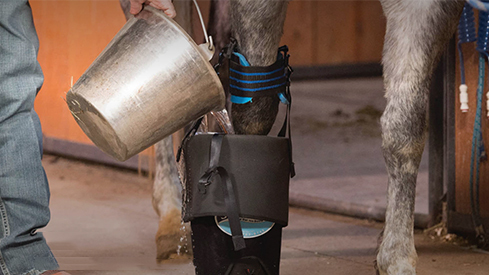 Soft-Ride's Equine Comfort Boots, Gel Orthotic Inserts and Ice Spa Boots offer unparalleled comfort, protection, support, and therapy for your horse. It's a common misconception that Soft-Ride’s horse boots are only for horses that are suffering from laminitis or other foot/hoof issues. Horse owners use Soft-Ride Comfort Boots horse hoof boots as part of their daily routine to help keep their horses healthy. When used together, Soft-Ride Horse Hoof Boots and the Ice Spa are the perfect one-two punch to keep your horse at the top of his game. 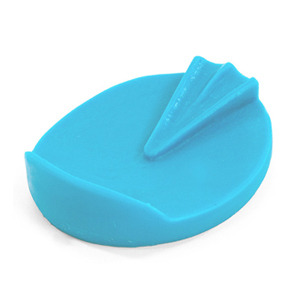 Our horse boots and gels pads also offer relief and protection when stabling and transporting. Soft Ride Ice Spas aids in recovery after a workouts and or performances for healthy horses. Both the Soft-Ride Comfort Boot and Soft-Ride Ice Spa can be used for therapeutic purposes when treating common hoof disorders. 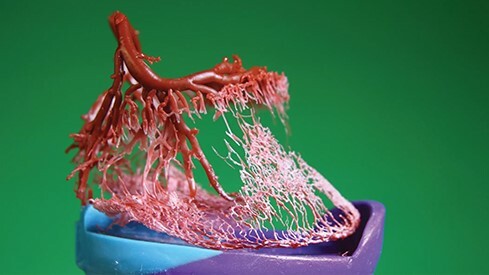 The deep gel in Soft-Ride orthotics reaches into the crevices of a horse’s foot and massages the frog, helping the natural pumping motion that circulates blood as a horse shifts it weight on its feet. So no matter if your horse is at home or on the road, Soft-Ride’s horse boots make any stable feel like a perfect pasture. And a more-comfortable horse means a better performing horse. 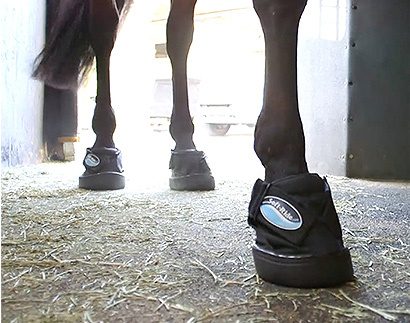 Soft-Ride hoof boots help make travel less stressful for your horse. A trip in the trailer is usually filled with bumps, vibration, and stress. Soft-Ride boots protect the hoof and put even pressure on the foot’s frog, enabling your horse to naturally pump blood back up his leg, increasing circulation and reducing inflammation. A less-stressful trip means that your horse arrives more relaxed and more rested, making him ready to perform right out of the trailer. There’s a reason professional athletes soak in an ice bath after a hard workout or game: it helps them recover more quickly. The same holds true for your horse. Top trainers and riders use the Soft-Ride Ice Spa to immerse hooves, lower legs, and knees to recover for their next event. 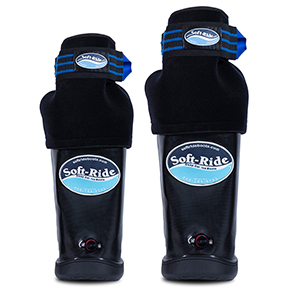 Why Soft-Ride Horse Boots & Gels? Soft-Ride gel orthotics absorb the shock and vibrations of long trailer trips, so the horse can perform better right out of the trailer. 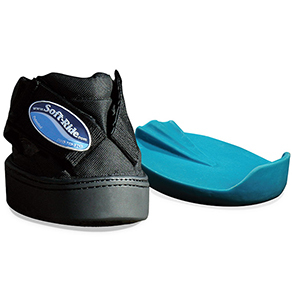 In addition to Comfort Boots and Ice Spa Boots, Soft-Ride offers a variety of therapeutic Gel Orthotics inserts & icing accessories. 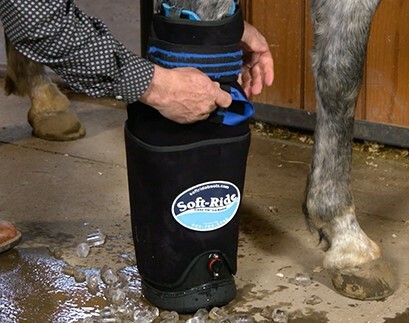 The Ice Spa from Soft-Ride is an innovative way to safely and easily ice your horse’s hooves and legs at home or on the road. The Ice Spa is available in three models and is perfect when icing for short periods after a tough workout or competition, or when icing for extended periods—such as following the 72-hour icing protocol for laminitis. 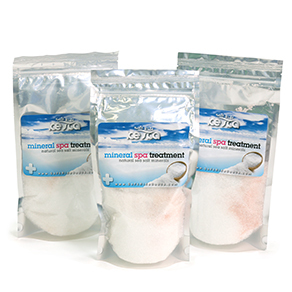 Our optional therapeutic mineral salts and portable aerator make your Ice Spa Boot even more versatile. With all the money on the line in team roping and the price of a horse to get you to the pay window, taking care of that horse has become more critical than ever. Read about it on Team Roping Journal. 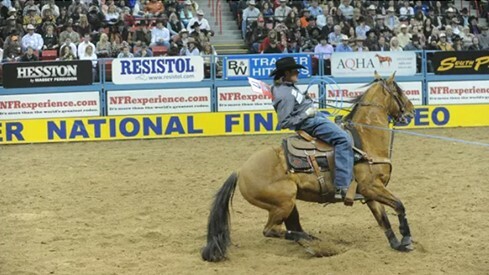 Jade Corkill talks about keeping his senior horse, Jackyl, comfortable while traveling and standing at ropings and rodeos with Soft-Ride Boots. 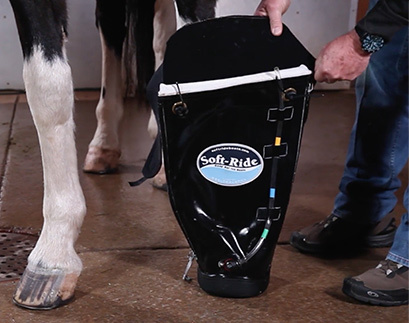 How and why Soft-Ride Boots work- learn about the benefits of Soft-Ride hoof boots and ice spas from the professionals. How to use the Ice Spa Prolong (Pro) with Dr. Joe Stricklin. Highlights the ease of use, the new zipper-less design, and the new retention collar design that makes it even easier to use. Dr. Joe also highlights the channelled orthotic design which allows for better water flow to the hoof, used both for foundered and hoof abscesses hooves. Brian Bell uses Soft-Ride Comfort Boots to keep his horses comfortable in the stalls while away at competitions. Soft-Ride Boots also give a competitive advantage because a well rested horse will do better, and therefore has a higher likelihood of earning more. Andrea Fappani horses required minimum recovery time after travelling when Soft-Ride Comfort Boots were used while transporting his horses from event to event.